You started a website and published a few dozen articles. You sit back and you are pretty sure you will get more traffic to your website thanks to Google algorithms. Well, not really. Driving more traffic to websites is one of the hardest (and most challenging) task for any business owners. For starters, Google algorithm is constantly changing and what works yesterday may not work well today. At times, you may even wake up just on time to find that you had lost all your traffic overnight. This article is all about giving business owners and bloggers new insights and proven tips to drive more traffic to your website. While these may not be quick fixes that will solve your traffic problem, rest assured that these strategies are great foundation to start generating some results (traffic and revenue). Generally, long tail keywords are more specific and usually have lesser competitions compared to general ones. I would want to clarify that while long tail keywords are highly recommended, general keywords are not dead (yet). From time to time, you need to utilize general keywords in blog posts. This can also be used especially in permalink such as this: Home > Marketing > Blog post name. Have you noticed that forums are a great way to community with your fellow readers? An active forum can easily help build a good following while increase traffic back to your website. If you are on tight budget, S2 Members is a great plugin (kudos to the developers as well) with features and flexibility in mind. Facebook is used by billions of people on a daily basis and not putting effort into it is a huge mistake. A great way is to create niche-specific groups so that members can ask and answers questions. The best part about it is that they can easily be directed back to your blog for more information. Do you know that you can increase traffic from your email list? Tools such as MailChimp is a great way to connect your readers to your email list. At the same time, you can also utilize auto-responder series which can help you double or triple your sales revenue. Email list is also a great way to keep your email subscribers informed of new posts that are published on your blog. To avoid spam, I usually send weekly newsletter to my followers. Guest posting is not only for backlinks but they are extremely useful in gaining traffic. The tricks here are very simple. You need to publish posts on relevant blogs (according to your niche) and make sure that you are only submitting high quality posts to these guest sites. In most cases, I love the quote, “If you put 100% in your blog post, you should put 150% into guest posts”. As time passes by, your older posts may become less informative because there may have new information. Keep your current posts updated with the latest information to ensure that readers (whoever they are) are getting the best. In return, you will create more readership than you can imagine. List posts still work and there’s no denial on that. List posts are best for skimmers who look for headlines and facts. When you are creating list posts, make sure that you are using the best headlines you can think off and the article must be easy enough for readers to skim through without hassle. Internal and external links are important when it comes to drive more traffic to your website. For example, there should be enough internal backlinks on each posts pointing to other related posts. External links should be used to give credits to other relevant sources. When a backlink is created and pointing to another site, the owner of that website will get notified and relationship is build from it. Plus, you may even get a nice link back from the owner itself! 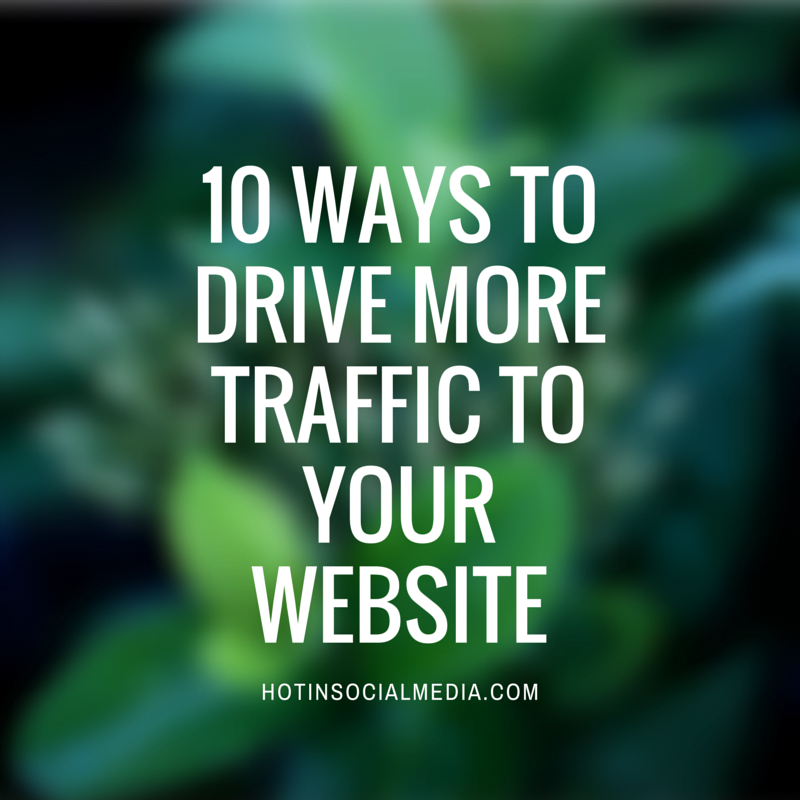 Do you have any other tips related for driving more traffic to your website? Leave a comment below and tell me all about them!